Property 40: Delightful cottage. Sitting on a village green . Ideal location for Aldeburgh. 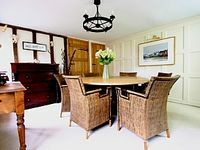 Property 48: Twosome, a beautiful, stylish, cosy cottage, perfect for two.